Algeria's president was unable to receive the Saudi crown prince due to health reasons, the Algerian presidency said on Monday. "Due to acute influenza, President Abdelaziz Bouteflika was unable to receive Saudi Crown Prince Mohammed bin Salman as planned," said the presidency in a written statement. 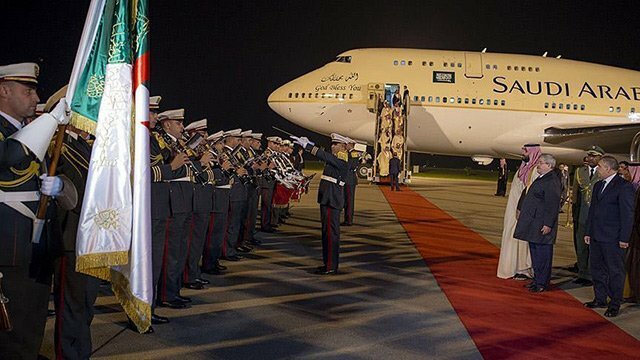 Coming from Mauritania, bin Salman arrived in Algeria on Sunday as part of a foreign tour amid criticism by several political figures and parties, who decried the timing of the visit as "inappropriate". On Monday, Algeria’s largest Islamic party criticized Prime Minister Ahmed Ouyahia for welcoming bin Salman, who arrived in the country a day earlier for an official visit. The visit comes "without any consideration of principles and values and without taking into consideration Algeria's reputation and its real, firm and permanent interests," Abderrazak Makri, head of the opposition movement, said in a statement. The Saudi crown prince’s tour is his first since Jamal Khashoggi, a Saudi journalist and columnist for The Washington Post, was killed early October inside the Saudi Consulate in Istanbul. After saying he had left the consulate alive, Saudi Arabia admitted weeks later that he was killed there, blaming his death on a group of rogue Saudi operatives. A CIA assessment released in November appeared to implicate bin Salman in Khashoggi’s murder.